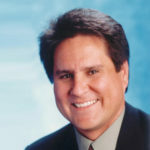 After a decade-long radio career as an on-air personality, program director, music director and promotions director, Gator Michaels served as the GM for Young-Olsen & Associates and the Vice President of Promotion at Dreamcatcher Entertainment prior to joining Warner Bros. Nashville where he obtained the role of Senior Vice President. During that time, he was involved in the careers of Faith Hill, Randy Travis, Michelle Branch, Kid Rock, The Eagles, John Michael Montgomery, Tracy Lawrence, Blake Shelton, Big & Rich, The Wreckers and James Otto. In 2010, Michaels went on to lead Davis Music Group as Executive Vice President/General Manager before founding his own promotions company, Instigator Entertainment, in 2011. He then became Vice President of Blaster Records in 2012, helping to garner Top 40 hits for Aaron Lewis, Montgomery Gentry, and Chuck Wicks.